The government of Democratic Republic of Congo has defended the decrees that grant ministers lifetime salaries and other benefits. In a statement released on Monday, the government said the payments “are not to enrich the officials”. The two decrees, which grant former ministers benefits worth at least $2,000 (£1,530) have been widely criticised. Most of the population in DR Congo lives in poverty. The outgoing government said the state was giving the ministers “a minimum to satisfy their basic needs, notably food, lodging and healthcare”. The payments “are to stop them [ministers] from falling into destitution”, the statement says. The two decrees, signed by outgoing Prime Minster Bruno Tshibala in November, were only widely reported in the media recently. The first decree grants former prime ministers monthly salaries equal to 30% of the current prime minister’s, one business class flight per year and monthly housing stipend of $5,000, according to Reuters news agency. The second degree grants former ministers salaries equal to 30% of the current minister’s and $1,000 monthly towards accommodation. They will also receive one business class flight a year, Reuters reports. The decrees were strongly criticised across the political spectrum. But the government defended the decrees and said they were not retroactive, so only members of the current government and future government would receive the benefits. The new President of the Democratic Republic of Congo, Felix Tshisekedi, was sworn into office last month. 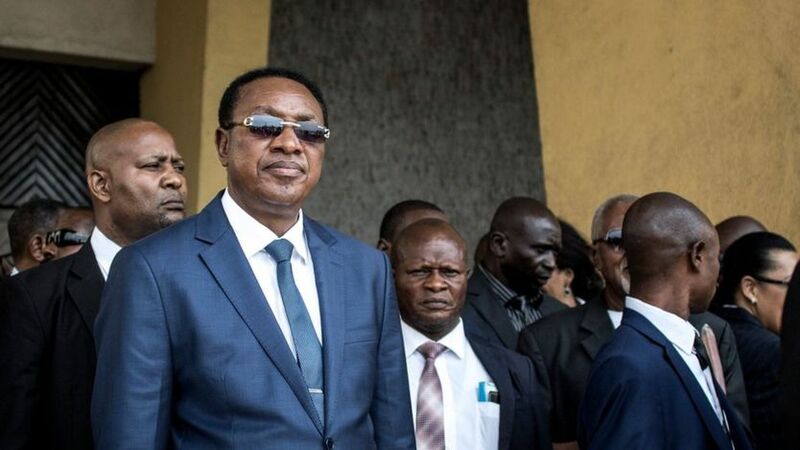 He took over from Mr Kabila in the first peaceful transfer of power in the country for nearly 60 years. The election result was widely criticised, with reports of a deal between Mr Kabila and Mr Tshiseki – although that was denied by both sides. In the most recent Transparency International’s 2017 Corruption Perceptions Index, the DRC ranked 161 out of 180 countries.